Current Neurovascular Research provides a cross platform for the publication of scientifically rigorous research that addresses disease mechanisms of both neuronal and vascular origins in neuroscience. The journal serves as an international forum publishing novel and original work as well as timely neuroscience research reviews in the disciplines of cell developmental disorders, plasticity, and degeneration that bridges the gap between basic science research and clinical discovery. Current Neurovascular Research emphasizes the elucidation of disease mechanisms, both cellular and molecular, which can impact the development of unique therapeutic strategies for neuronal and vascular disorders. Background: Bangladesh is one of the densely populated countries in the world. The total population is about one hundred sixty five million and most of the people are living in village or rural areas. A large number of families have no electricity connection for different causes in rural areas. The target of the government of Bangladesh is confirming under the electric coverage for all the people by 2021. Method: Providing this access to electricity, the grid lines are presently overloaded and load shedding is a very common practice for the people of Bangladesh, especially for rural area. Rural electrification plans should be individual generation systems. Result: One of the best solutions is solar home systems (SHS). This system is well-known, very effective and a vast number of rural families are using this SHS program in Bangladesh. For huge load shedding, people who are already under electric coverage also feel and understand the necessity of SHS. The main difficulty of the SHS program is high primary installation cost on the basis of the ability of users; generally, they are very poor and with low-income people. 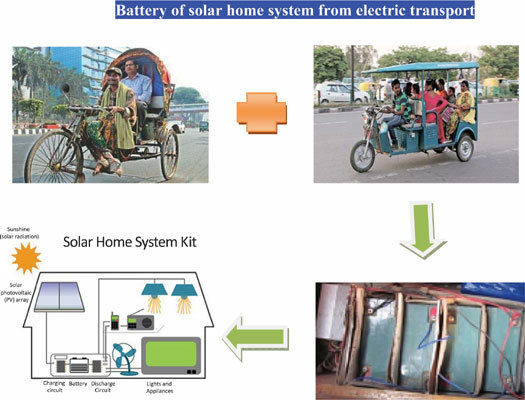 In this paper, we explain that the SHS programs become economically affordable for rural people of Bangladesh by using the castoff battery from electric transport which is available and popular in rural area. Conclusion: Also, I have shown the total cost for a complete SHS became only 5635 Taka (1 USD = 82 Taka) or 69 USD and the yearly cost of an economy family in rural area is only 3.4 USD. Expansive arterial remodeling (EAR) comprises a genetically programmed biological response designed to restore homeostatic levels of arterial wall stress after an increase in vessel flow load occurs. The magnitude and rate of EAR reactions relative to local hemodynamic stress fields and the tensile strength of vascular tissue determines whether the process will result in a stable mural structure (adaptive remodeling) or an unstable mural structure that progresses to form an aneurysm (maladaptive remodeling). A recent study published in Current Neurovascular Research reveals the molecular mechanisms underlying adaptive and maladaptive remodeling of cerebral arteries for the first time. In this study, investigators flow loaded the basilar artery in rats by performing bilateral carotid artery ligation. Flow induced changes in basilar artery morphometry and histology were correlated with changes in mRNA expression and protein expression. Flow induced alterations in mural structure and biology were revealed by comparison of flow loaded basilar arteries with basilar arteries from rats that underwent sham surgery. The adaptive and maladaptive remodeling responses were differentiated by comparing the results from an aneurysm prone inbred strain of rats to an aneurysm resistant inbred strain of rats. The study revealed 24 genes that were differentially expressed between strains in the absence of flow loading (resting state). More than half of these genes have previously been associated with pathological vascular phenotypes, and more than a third have specifically been associated with aneurysmal pathology. Numerous flow-induced genes were revealed by this study, including a group of 8 genes that showed very strong flow induced expression conserved in both inbred strains. A group of 9 genes showed very strong flow induced expression with major differences between aneurysm prone inbred rats and the aneurysm resistant inbred rats. These genes are considered to play major roles in maladaptive cerebrovascular remodeling responses that lead to mural destabilization and cerebral aneurysm formation. Three of these genes including the Tgfb3, Ldha and Rgs16 genes have specifically been associated with aneurysmal pathology in prior studies. The newly discovered maladaptive cerebrovascular remodeling genes revealed by this research may enable the development of new diagnostic biomarker tests for patients at increased risk of cerebral aneurysm formation. Such tests may be used to identify patients at risk for cerebral aneurysm formation at a very early stage. In such cases, it may be possible to stabilize or reverse the aneurysm forming process with targeted therapies before clinical complications occur. The products of maladaptive cerebrovascular remodeling genes may eventually prove to be high yield drug targets for targeted arterial wall stabilizing therapies. Such therapies may be particularly beneficial for individuals at high risk of aneurysm formation, including patients with severe hypertension, unilateral carotid artery occlusions, cerebral arteriovenous malformations and aneurysmal cerebral arteriopathies such as Tuberous Sclerosis, Alagille syndrome and Sickle cell disease. As mankind has entered the 21st century, the natural ecological and social environment on Earth has undergone major changes, people’s ideas of their own health have also been constantly updated, which makes modern medicine facing more challenges. Andrology is a new science that studies the structure and function, physiology and pathology of male reproductive system. It is a branch of medical science that combines the basic and clinical research, and involves multidisciplinary mutual penetration. In recent years, great progress has been made in treatment of the male reproductive disorders and sexual dysfunction. Male infertility is a complex problem, it can be only solved by bringing together medical wisdom and clinical experience of people all over the world. Advances in surgical practice have always depended upon the introduction of enabling technologies. In the mid 19th century, the introduction of anaesthesia enabled surgeons to develop procedures to remove diseased or damaged tissues. In the mid 20th century, the advent of antibiotics and greater understanding of biocompatibility issues allowed surgeons to replace damaged tissues; the introduction of immunosuppressive therapies extended this technology to transplantation of whole organs. In the latter years of the 20thcentury, advances in computer and imaging technologies provided the tools needed to develop endoscopic interventions. These enabled surgeons to remove diseased tissues with less collateral damage and begin to repair damaged tissues in situ. The 21st century has seen the nascence of stem cell technologies. Surgeons are now seeking ways to employ stem cells to regenerate damaged tissues. Current Organic Chemistry aims to provide in-depth reviews on the current progress in the fields of bioorganic chemistry, organo-metallic chemistry, asymmetric synthesis, heterocyclic chemistry, natural product chemistry, catalytic and green chemistry, suitable aspects of medicinal chemistry and polymer chemistry, as well as analytical methods in organic chemistry. The frontier reviews provide the current state of knowledge in these fields and are written by chosen experts who are internationally known for their eminent research contributions. The Journal also accepts high quality research papers focusing on hot topics, highlights and letters besides thematic issues in these fields. Current Organic Chemistry should prove to be of great interest to organic chemists in academia and industry, who wish to keep abreast with recent developments in key fields of organic chemistry. Author(s): Elisa Leyva*, Edgar Moctezuma, Kim M. Baines, Saul Noriega, Elvira Zarazua. Author(s): Dávid Illés Nagy, Alajos Grün, István Greiner, Gyorgy Keglevich*. Background: Although the synthesis of α-hydroxymethylenebisphosphonic acids (dronic acids) and derivatives by reaction of the corresponding carboxylic acids (or its derivatives) with P-reagents, such as phosphorus trichloride, phosphorous acid and phosphoryl chloride formed the subject of many studies, in most cases, the selection of the P-reagents, their ratio, and the conditions (solvent and temperature) were not optimized. Method: Selection of the appropriate P-reagents and their ratios, along with the conditions is possible, only if the reaction protocol (sequence of the steps) or the mechanism is known. For this purpose, the relevant information was extracted from the literature, critically discussed and the conclusions were drawn. Our own experiences are also summarized on the possible mechanisms, and on the related optimum set of the reaction parameters depending mainly on the nature of the solvent used. 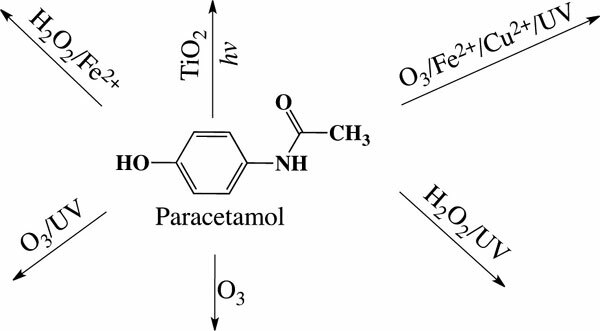 Conclusion: This review gives a better understanding of the dronate chemistry, and promotes “greener” and more practical syntheses. Author(s): Na Fu, Tengzhe Dong, Ai Meng, Zhaosong Meng, Bofeng Zhu, Yunfeng Lin*. The management of chondral defects has been a challenge for a long time because of the poor self-healing capacity of articular cartilage. Many approaches ranging from symptomatic treatment to structural cartilage regeneration are not that successful with very limited satisfactory results. Chondral defects caused by tumor, trauma, infection, congenital malformations are very common in clinical trials. It seriously affects the patient’s physical function and quality of life. The appearance of cartilage tissue engineering has brought good news for cartilage defect repair. Through this review, we are aimed at reviewing the progress of the types and preparation techniques of scaffold materials in cartilage tissue engineering. Author(s): Kazuya Masuda*, Tadamitsu Kishimoto. Background: Infection, tissue damage and aging can cause inflammation with high levels of inflammatory cytokines. Overproduction of inflammatory cytokines often leads to systemic inflammatory response syndrome (SIRS), severe sepsis, and septic shock. However, prominent therapeutic targets have not been found, although the incidence of sepsis is likely to increase annually. Our recent studies indicate that some RNA-binding proteins, which control gene expression of inflammatory cytokines at the post-transcriptional level, may play a critical role in inflammatory diseases such as sepsis. Results: 1) One of the RNA-binding proteins, AT-rich interactive domain-containing 5a (Arid5a) promotes cytokine production through control of mRNA half-lives of pro-inflammatory molecules such as IL-6, STAT3, T-bet, and OX40 in activated macrophages and T cells. Arid5a KO mice are refractory to endotoxin shock, bleomycininduced lung injury, and inflammatory autoimmune disease. 2) Chlorpromazine (CPZ), which is recognized as a psychotic drug, impairs post-transcriptional gene expression of Il6 in LPS-stimulated macrophages: CPZ inhibits the binding activity of Arid5a to the 3’UTR of Il6 mRNA, thereby destabilizing Il6 mRNA possibly through suppression of Arid5a expression. 3) CPZ has strong suppressive effects on cytokine production such as TNF-α in vivo. Mice with treatment of CPZ are resistant to lipopolysaccharide (LPS)-induced shock. Conclusion: Thus, Arid5a contributes to the activation of macrophages and T cells through positive control of mRNA half-lives of inflammatory cytokines and its related molecules, which might lead to cytokine storm. Interestingly, Arid5a was identified from an inhibitory effect of CPZ on IL-6 production in macrophages activated by LPS. Therefore, CPZ derivatives or Arid5a inhibitors may have a potential to suppress severe sepsis through control of post-transcriptional gene expression.